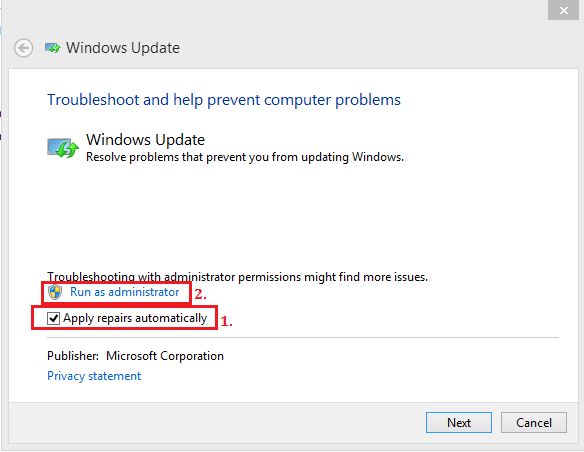 The following article contains a guide aimed to help users solve the issue of Windows Update getting stuck mid-process. The guide is designed to work for Windows 7, 8 and 10. Very many users have run into this problem at least once, when their computer attempted to run the Windows Update. Your screen is displaying the text of Windows “searching for updates”… and it never goes away. It just stays stuck at that stage for hours on end, at which point you probably find yourself forced to force shutdown your PC, just to resume your regular work routine. The issue discussed here is most frequently encountered on Windows 7, but can occur on Windows 8 and 10, as well. On other occasions there will simply be an error during the update process, but essentially it will not be able to complete properly. There are several possible fixes for this problem and we are happy to share some of them with you, here in this article. Try each of them until you find the one that works for you. In the event that none of them are successful, please describe your case to us in the comment section below and we will do our best to help figure out something to get the issue solved. The first logical step would be to run the Windows Update Troubleshooter. 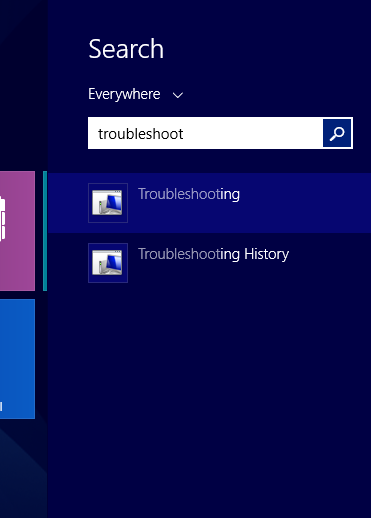 To do this, type troubleshooting in the Start menu and click on the first result. 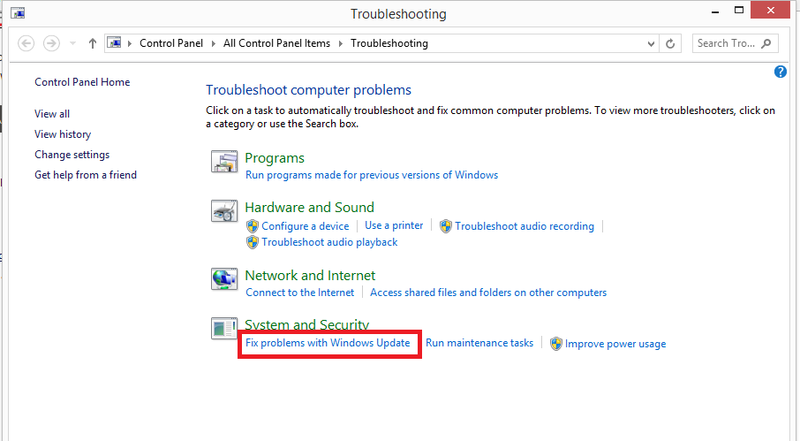 In the Troubleshooting window, click on Fix problems with Windows Update right under System and Security. In the resulting dialog box click on Advanced. Make sure that the box beside Apply repairs automatically is ticked. After this, click on Run as administrator -> Next. This is most likely to get the issue solved without any further actions being necessary. 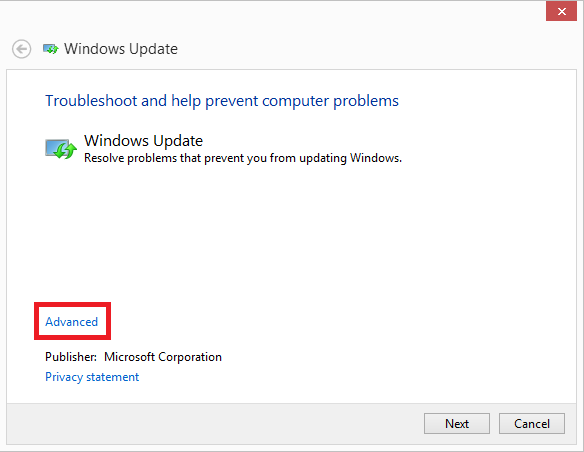 Try running Windows Update again, after the Troubleshooter finishes checking for problems. In case the above didn’t do the trick for you, you can try to complete the same actions as the Troubleshooter manually. First of all, boot your computer into Safe Mode. 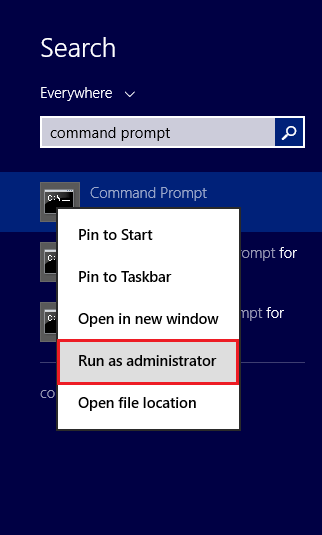 Once booted in Safe Mode, search for Command Prompt in the Start menu and right-click on the first result to Run as administrator. In the Command Prompt type this command, before hitting Enter: net stop wuauserv. This will stop the Windows Update service. After this, go to the following location: C:\Windows\SoftwareDistribution (it may be on a different disk than C:, depending on where your Windows folder is stored) and delete all the files in the SoftwareDistribution folder. Repeat step 2 to open the Command Prompt with administrator rights and type in the following command to start the Windows Update service: net stop wuauserv. Press Enter. Restart your PC in regular mode and try to run Windows Update again. Let us know if this article helped you kick start Windows Update by leaving us a comment in the section below!